Burned Birchwood Panel Wall Art - Alcohol Ink Galaxy Original Art. Cotton Candy Skies. Burned Birchwood Panel Wall Art - Alcohol Ink Galaxy Original Art. 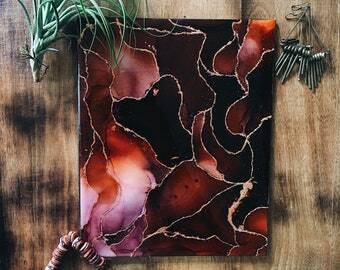 Alcohol Ink Wall Art with Gold Leaf. Resin Finished Abstract Painting. Red Hues Small Original Art. Round Wood Wall Art. 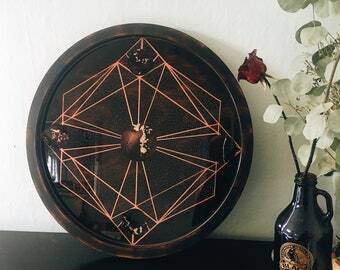 Burned Wood with Bronze Geometric Line Work and Alcohol Ink Planets. Galaxy Art with Resin Finish. 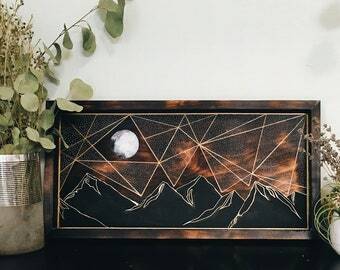 Modern Mountain Wall Art. Galaxy Sky. Watercolor Moon. Line and Dot Work. Gold Abstract Art. Burned Wood.